Fampridine treatment and walking distance in multiple sclerosis: A randomised controlled trial.Pickering H, Murray J, Lin CS, Cormack C, Martin A, Kiernan MC, Krishnan AV. This was a randomised double-blind, placebo-controlled crossover trial of fampridine in 25 MS patients. The primary outcome measure was the six minute walk test (6MWT). A p-value < 10% led to rejection of the null hypothesis. ResultsThe pre-specified criterion for statistical significance was met, with a 17 m improvement in 6MWT in the treatment arm. In addition, baseline S2 accommodation, a nerve excitability parameter that reflects slow K+ channel activity, modified the effect of fampridine. For patients who had abnormally high S2 accommodation values, there was a 28 m improvement in the 6MWT (p = 0.04). In contrast, for patients with low S2 values, a 0 m improvement was noted (p = 1.0). ConclusionThe study provides evidence that fampridine may improve walking distance. Nerve excitability assessment may be useful in selecting those patients who are most likely to gain benefit from fampridine. 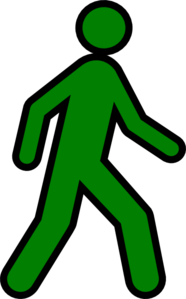 SignificanceFampridine may improve walking distance in MS. Nerve excitability assessment may assist in identifying those patients most likely to respond to fampridine. Is famprodine available through the NHS? My balance is atrocious, I used to be a very frequent faller About 2 years ago I was given an FES. Now I hardly ever fall over, I would estimate that it occurs less than once every couple of months. I think the time would now be right for me to try fampradine. It takes me 45 minutes to walk 1 km with a rollator. If myy walking speed using a rollator could be increased I would be a much happier bunny. I would do more walking which is good for bone health, stamina and muscle strength. What chances of it happening? To the best of my knowledge. famprodine (Fampyra) is not currently available through the NHS. It is being reviewed this year by the Scottish Medicines Consortium which would make it the first country in the UK to approve the use of the drug for MS. However, I am unsure if this has been done yet. Is there any evidence that Fampyra is more than a symptom treatment? Some time ago Prof G said on this blog that he thought that famprodine could put extra stress on already damaged axons. Therefore a short term gain in walking speed may be detrimental in the long run. Exactly the opposite of a dmt – a drug that makes your physical state worse than it would have been without the drug. But nobody knows whether that is actually what happens and all the tests only look at what happens with Fampyra in the short term. #ClinicSpeak: what does personalised medicine mean to you?